An integrated portal for end-to-end paperless workflow for scholarship application processing for crediting scholarships directly to the bank accounts/ Aadhaar linked bank accounts of the beneficiaries and linked with payment and accounting system of Government of India using its linkages with Aadhaar Payment Bridge (APB) and interface with CBS of 105 banks. Portal provides facility for onetime registration of students and upload of required documents for processing scholarship application at various stages. Documents once submitted and verified by concerned authorities become permanent record of the student till completion of education. The portal provides SMS / email alerts and provides comprehensive MIS to all stakeholders. Ans: Student will go to the homepage of PFMS pfms.nic.in and the click menu on Register/Track Issues. Student will fill in the required details and will enter thecategory as Scholarship and Sub-category as Institute not found and in the Description fill in the details of your institution. I have applied for Post Matric Scholarship Students With Disabilities 2017-18, status shows payment sent to PFMS, but not received the scholarship in my bank account. My scholarship ID number is br201819004285187. Please check it. Response From The PFMS, “Scholarship payment details has been pushed to PFMS for the payment processing”. I am a student of B.C.A. I got scholarship only for two years but this year scholarship amount is not credited in my account. I received the messages but scholarship amount is not added in my account and amount back to PFMS. So please repay the scholarship amount. My Registration Number is 100540511800120. I am a student of B.Pharmacy. I got scholarship only for two years but this year scholarship amount is not credited in my account. I received the messages but scholarship amount is not added in my account and amount back to PFMS. So please repay the scholarship amount. I will thankful to you. I HAVE APPLIED POST MATRIC SCHOLARSHIP STUDENT WITH DISABILITIES 2017-18, STATUS SHOWS PAYMENT SENT TO PFMS, BUT NOT RECEIVED THE SCHOLARSHIP IN MY BANK ACCOUNT. MY SCHOLARSHIP ID NUMBER IS 201718000673538. PLEASE CHECK IT. My brother Mukul Singh, is studying Bachelor of Pharmacy, He applied for scholarship. My brother registration number is 071120101700208. He has not received the scholarship amount yet. I received the amount of Rs.10000 from CPSMS (1st February) in my account but didn’t inform by the school or any Organisation run by government. Afterwards, I came to know it is for science project inspiration made by me in school. Later as per school information) on the date of District Science exhibition for school held in Dahiwadi (District Satara). I can’t participate in exhibition because of non communication by anyone. Now what can I do ? My Post Matric Minority Renewal Scholarship amount doesn’t received due to inactive of my account. My account number is 35144387518. Please do something. My post matric minority scholarship amount does not received due to inactive of my account. My account number is 36162020038. Please do something. I am a JRF candidate. My college mail ID is wrong on PFMS portal so that they cannot uploading my account. What are the ways to correct their mail ID? Please send it. Can you please provide the contact details? Can I renew the scholarship? I am M.Sc student and I have passed my 12th class in 2013 with 82.8 %. I want to know about my renewal form for final year. My payment status in pfms portal is showing as money is granted on 31/11/2016 but till now I didn’t receive money. I am a jrf candidate. My payment has been rejected by pfms although I have received payment till march 2016. I am a jrf candidate. My scholarship amount is not credited. I contact the ugc official. 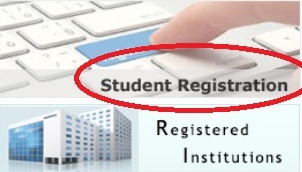 They said that your college is not registered in pfms. My college is already registered but my scheme code is not given. How can I give the code? I applied for mcm scholarship. Now payment is sent to pfms. I checked this site and status of payment as you say above. There is showing only “bank txn date 31/3/2016 “but not credited till now. What I have to do? My post matric scholarship does not received in my account. My registration no is RJ201516002203790. You can Add New Issue in the below link.